Most of us car guys and gals long for the 1960’s. Every car in the parking lot–and on the racetrack—was badass. Pure American steel and there was nothing but the smell of burning rubber and raw fuel. That’s why we can’t help but fall in love when we see a genuine piece of race history like this ’55 Chevy, a true, vintage gasser built and raced back in the 1960s. While some of us, the lucky few, were around back then to experience those years first hand, the younger generation can only dream of those days and try to live them through builds like this Bel Air gasser. There is just something about the way that a gasser like this looks, that we just cannot resist. The car now belongs to Shawn Brown of University Place, Washington, and he’s owned it four years. “It’s an original Southern California gasser,” Shawn explained. “It ran from 1960 to 1968. 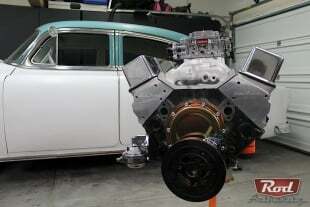 ”Originally powered by a Hillborn injected 327 cubic-inch engine, it’s now got a 331 cubic-inch small-block Chevy with aluminum rods, 12.5:1 compression, a tunnel ram intake with twin Holley carburetors, and a giant roller cam. Shawn has even managed to track down the original builder. He’s alive and well and living in Florida and Shawn and they’ve even become friends. 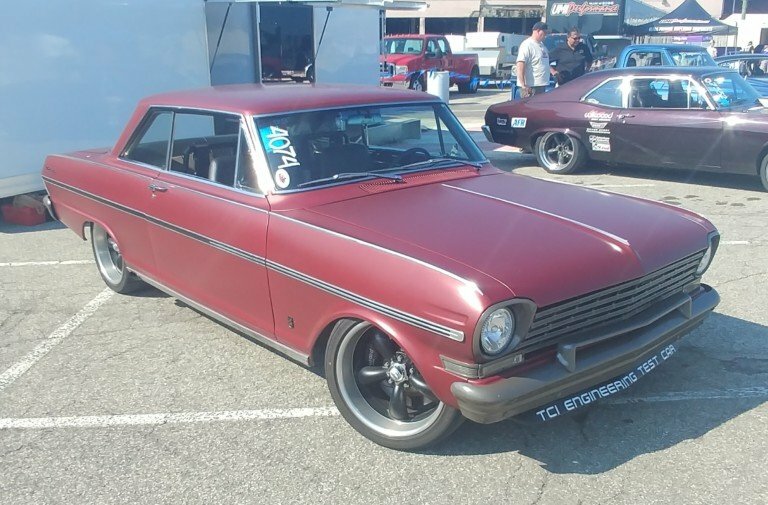 The iconic look of a Tri-Five gasser like this will stand out in any show that you put it in. Along with the 331 cubic-inch V8 motivating the car, it’s got an automatic transmission laying down the power and an original 1964 GM rear end with 4.88:1 gearing putting the rubber to the road. The grip is supplied by the Hurst racing tires on the rear and M&H RaceMasters on the front. The tires are wrapped around original, magnesium American Racing wheels. It’s cool enough to see a set of original magnesium wheels on their own, but a real treat to see them on this period correct racer. While most of the car is untouched from its original build, a few changes have been made. Shawn added the headliner, the carpet, and he recovered the seats. The previous owner painted the car, meaning the original patina was washed away. Booo. The original magnesium wheels really add to the look of this gasser. Shawn didn’t want to go into too much detail on what’s coming, keeping it a secret for now. We’re definitely excited to see what he does next with this car. Part of why he wants to build the new motor for it is to make it more streetable. Even the interior on this gasser is about as classic as it gets. 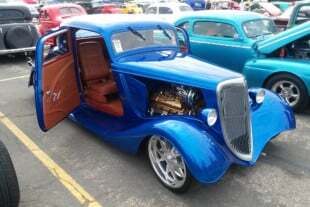 From the metallic blue steering wheel to the red, white, and blue tach and timing light, the interior on this gasser is street-rod perfection!